Need a new carseat? There is a great deal on Kids Woot today! 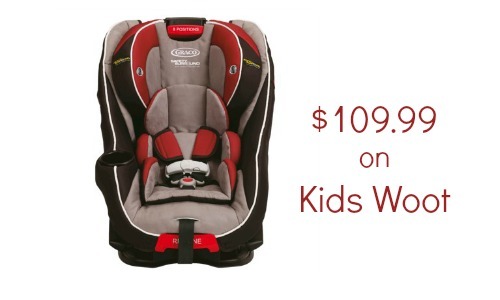 You can get the Graco Headwise 65 Convertible Car Seat for $109.99. The car seat was manufacturered in November of 2014. It is not part of the recent voluntary recall. Shipping is $5. The deal is valid today, 4/10, only.